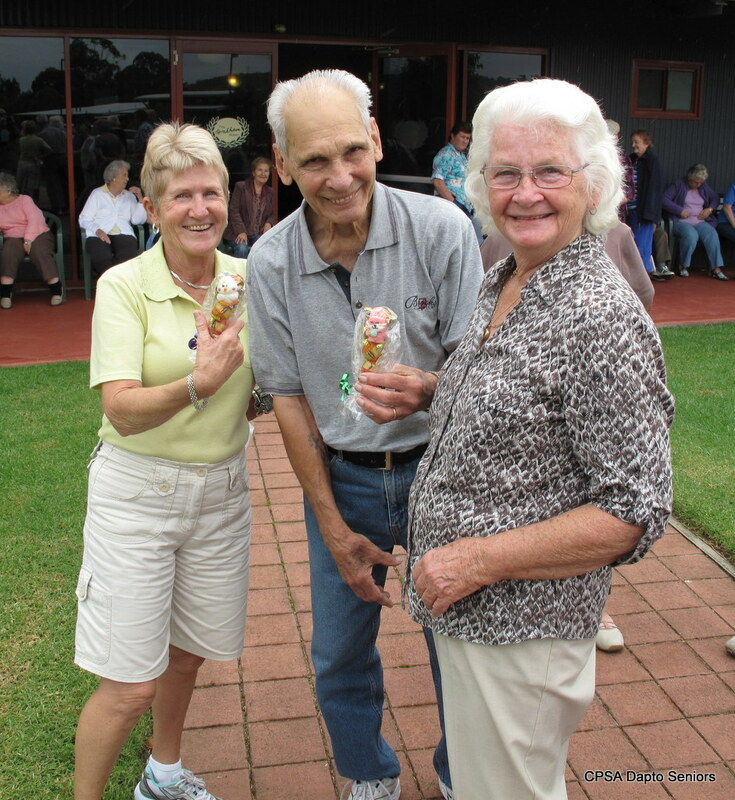 Over 70 members ventured out to Integral Energy Park on Thursday, 4th April to take part in the club's 2013 picnic. What fun everybody had! There was plenty of cake for all as members arrived and soon the place was buzzing with conversations as they settled down to chat with old friends and make new ones. 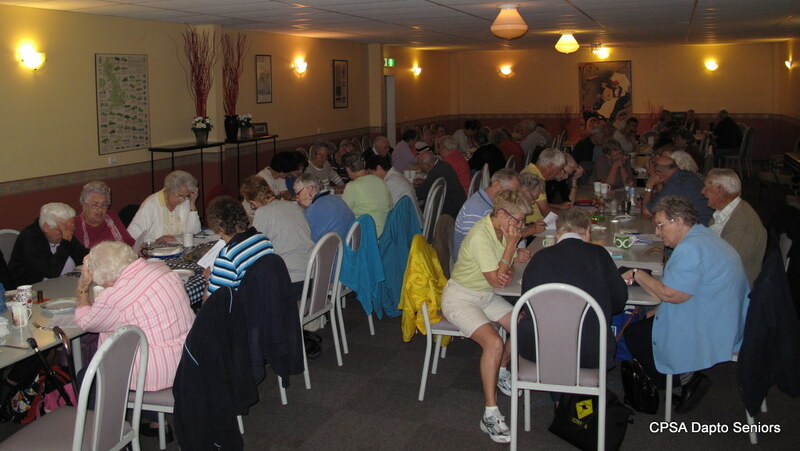 Tea, coffee and fruit juice were flowing as Maureen handed round trivia quiz sheets for everybody to fill in. As you can see from the photo the quiz got everybody thinking with questions about Dapto, sport, trivia and even nursery rhymes, it was great fun. Time seemed to fly past and before everybody realised it the lunch arrived and the assembled company settled down to a meal of chicken, coldslaw and potato salad, followed by yet more cake. Once the meal was over it was time to lose some of those calories so the party was moved outside for games of quoits and boules on the grass. Amid shouts and cheers of encouragement the members competed to be the club champion for 2013 - OK, perhaps not a championship but just for the pleasure of friendly competition for the small prizes on offer. 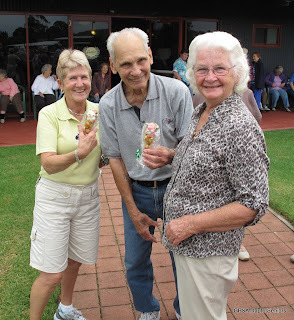 During the games there was yet another surprise as ice creams were handed out to all. Our thanks and congratulations go to Maureen and Rudi for organising such a first rate event. Just a reminder that tickets go on sale at the next meeting for the first lunch of the year at Dapto Leagues Club on the 16th May 2013, still only $15 and still with a massive free raffle. Don't miss it.